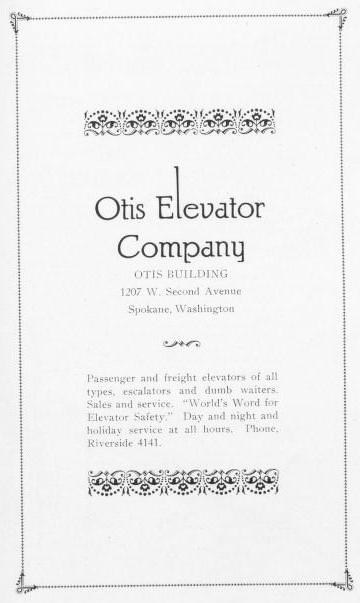 Passenger and freight elevators of all types, escalators and dumb waiters. Sales and service. "World's Word for Elevator Safety." Day and night and holiday service at all hours. Phone Riverside 4141.